When it comes to water well drilling, new pump installation, or pump repair, you need a professional company to handle the job. In the water well industry, there’s no room for mistakes to be made. When you are looking for a reliable contractor you can trust with your video inspection, new well installation, water treatment, or pump repair job, count on Jones Well Drilling. Since 1884, Jones Well Drilling has been offering a complete list of services and products to customers all over Ellicottville, NY; Randolph, NY; and the surrounding areas. We’re the premier company to call on in the Southern Tier when customers need help with water well projects of all scopes and sizes. We specialize in water treatment, water softening equipment, well rehabilitation, water pump service, and much more. 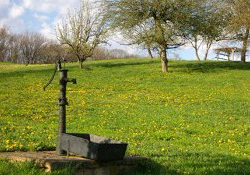 When you need an expert to handle your water well testing or pump repair job, call on the professionals from Jones Well Drilling. We have the experience, equipment, machinery, and knowledge to complete the job in a timely and efficient manner. After all, we have over five generations of expertise to bring to your job site. 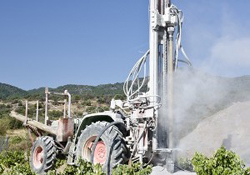 When choosing a well driller for your job, make sure you consider the following: if they’re properly insured; what kind of reputation they have; and if they have the proper licenses to construct wells in your area, amongst other things. 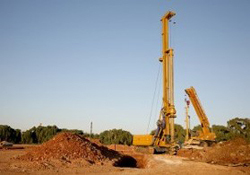 When you are looking for a well driller, make your first and last call to Jones Well Drilling. We have all the qualifications, training, licenses and more that you’ll need.